Taking People Places! Station Cars the People Carriers, supply a fast, efficient mini cab service to all the main airports and train stations, including Heathrow, Gatwick, Stansted, London City Airport, Luton, as well as Victoria Coach Station, Waterloo Central. Providing a reliable, quick, efficient, helpful service and having a good knowledge of Airport terminals and do's and dont's. 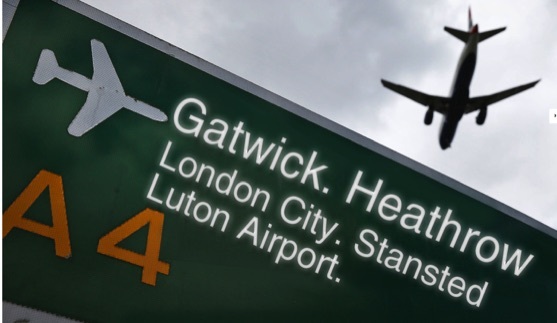 Station Cars supply mini cabs to all the main airports and train stations, including Heathrow, Gatwick, Stansted, London City Airport, Luton, as well as Victoria Coach station, Waterloo Central, in fact we'll take you anywhere you need to go! Why not make this small detail an open and shut case. Book in advance, and let Station Cars take the strain. To select the type of vehicle you would like to order for your journey, click HERE. For detailed Airport information, click the relevent link.